If you are lucky to have inherited an antique piece of furniture, but you don’t know where to put it, relax. Vintage pieces go with any style. It will not only add personality, but it makes your rooms look unique, not like every else’s. 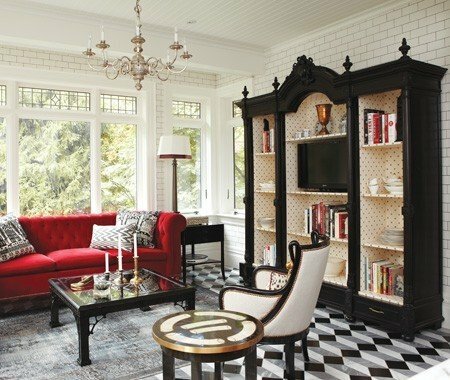 What is considered vintage furniture? It could be a clean, simple mid-century piece, an Art Deco piece from the early 20th century or even a casual piece from the 18th and 19th centuries. You can also purchase antiques from several sources- antique stores, garage sales, private individuals. If you enjoy shopping when you are on vacation, purchasing an antique would bring back good memories. Think outside the box when adding a vintage piece. Look for interesting chairs, end tables, Bombay chests and desks. Also look for artwork, mirrors, rugs and knick knacks that you are drawn to. Remember this is your home. Surround yourself with things that make you feel good.